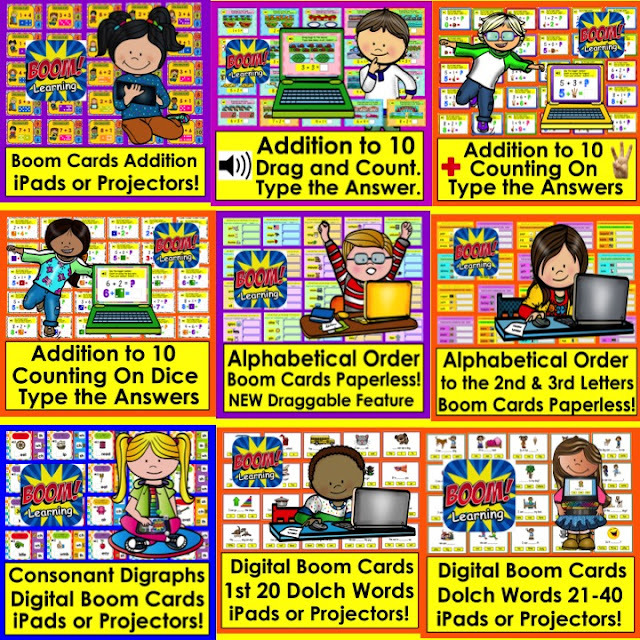 They are digital, interactive, self-checking task cards... paperless and no prep! Projectors, Computers, iPads, Tablets, Phones! 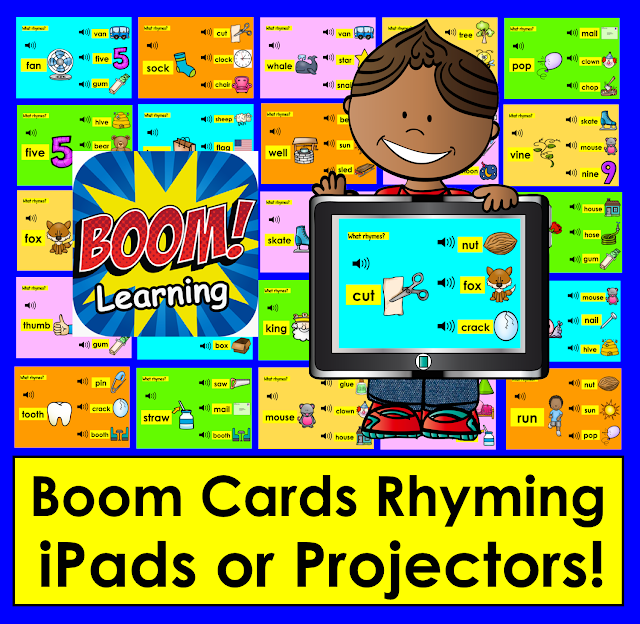 Below is an introductory overview video created by the Boom Learning team. 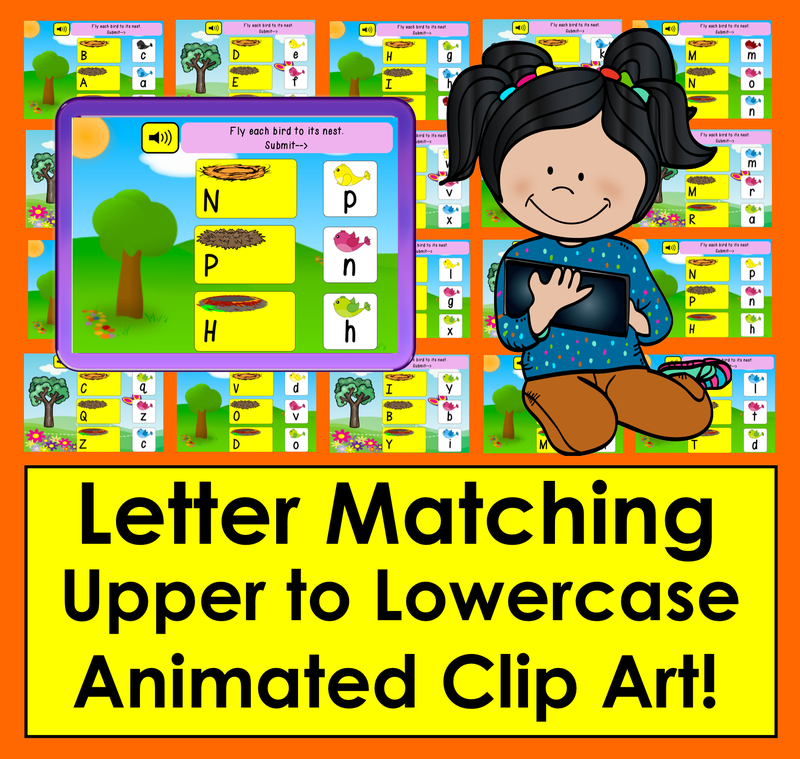 Just click the center to view the video. I would appreciate it if you used my link to investigate Boom Learning. 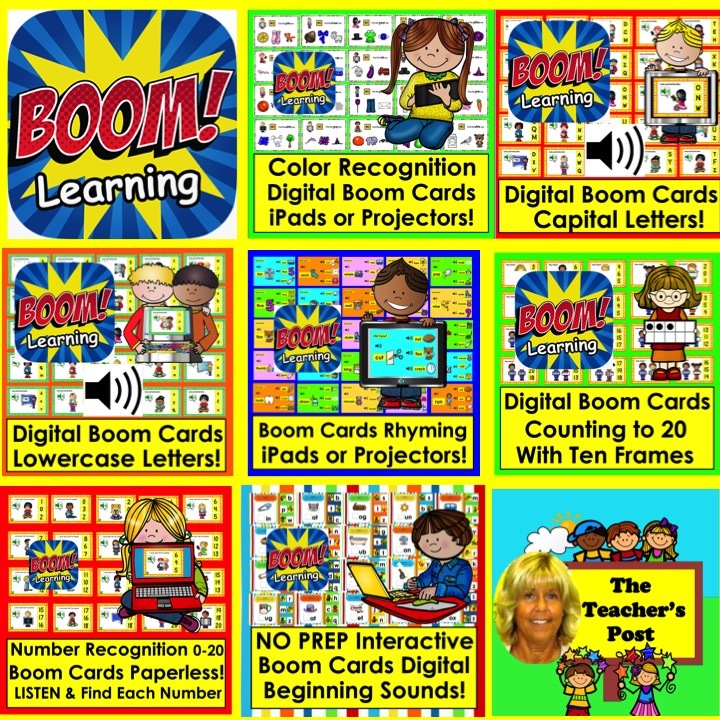 FAST PLAY on Boom Learning is FREE! 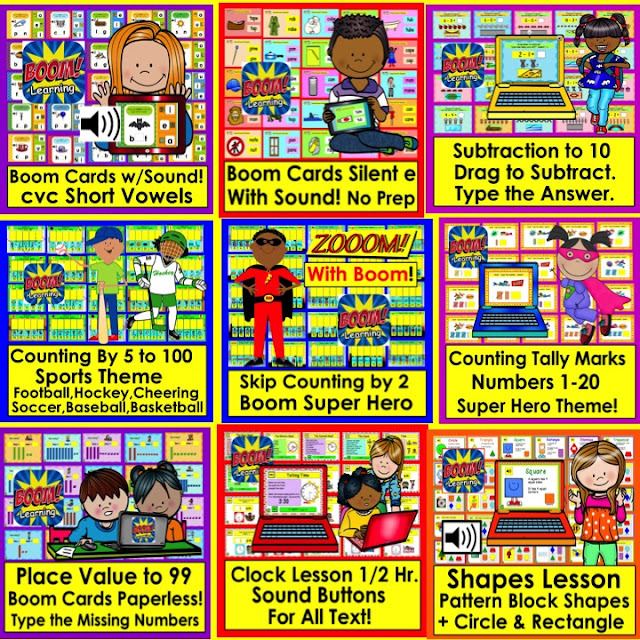 So students can access all of the decks in your library and play as many times as they like. There are also many FREE decks by various creators. Most decks are randomized, so cards are presented in a different order each time a deck is played. When you purchase a deck of Boom Cards, you get a one year membership free of charge. 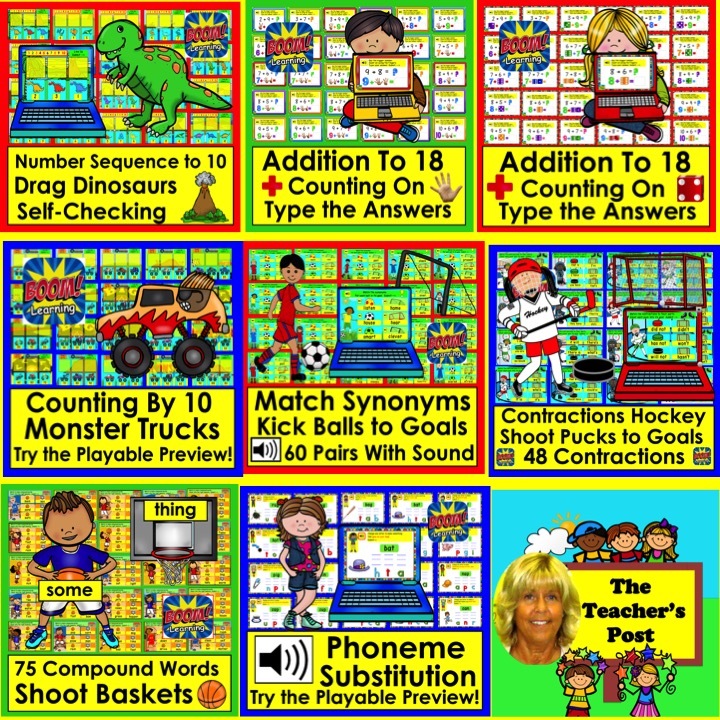 With this membership, you can enter your students' names, assign decks of cards on particular skills, and track their progress! Here is a video from the Boom Learning team on setting up a "classroom" on Boom Learning if you'd like to track students' progress. Just click in the center of the image below. 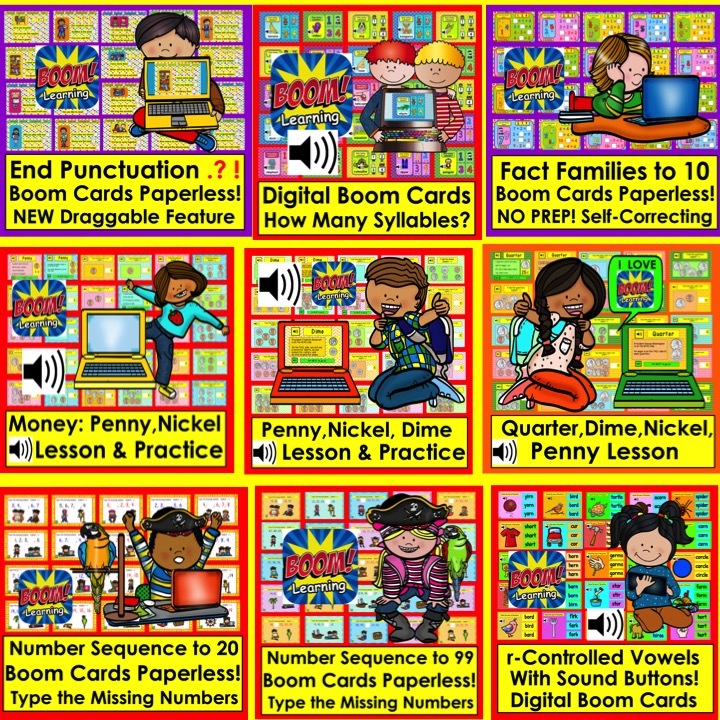 I have created over 50 decks of Boom Cards for both Literacy and Math that are geared to Preschool, Kindergarten, and First Grade. Many of them have sound buttons, so they are perfect for non-readers. Some decks work using a simple click or touch. 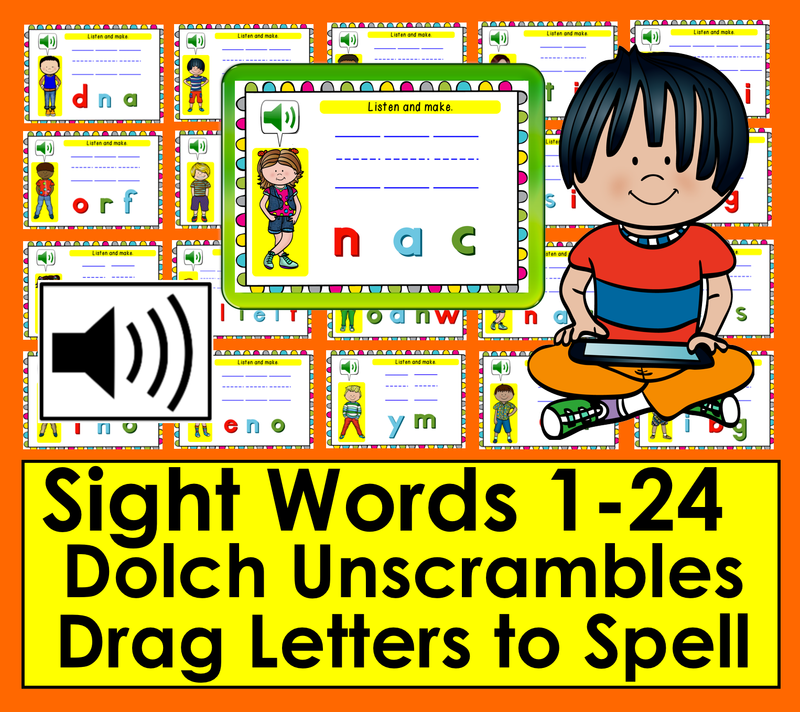 Some decks ask students to click/touch and drag answers. You can check them out, along with my Google Slides resources and my Interactive PowerPoints by clicking below. If you have any requests, please email me at lindapost.edu@gmail.com. Once created, I will send it to you free of charge to test for me! Thanks for all the information. I can really see the importance of building a classroom community right from the beginning of the school year. Thanks for the tips.